BENEITO BNV099 FRENCH FOREIGN LEGION SOLDIER, MOROCCO 1903 HOW TO REACH US ANDREA AN4F06 JOHN WAYNE "THE DUKE"
All items are shipped at actual cost. Email, telephone, fax, or write your order. When you order, specify shipping method. We will calculate the cost, add it to your order, and send email notifying you of the total cost. ALL PAYMENT BY CHECK, MONEY ORDER, OR INTERNATIONAL DRAFT IN U.S. DOLLARS. VIRGINIA RESIDENTS MUST ADD SALES TAX --- SEE MAIL ORDER FORM FOR DETAILS. 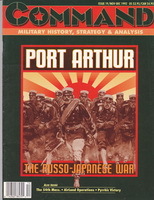 PUBLISHED BY THE WARGAMES RESEARCH GROUP IN ENGLAND. STRICTLY FOR WARGAMERS. SUMMARIZES THE ARMIES AND HOW TO REPRESENT VARIOUS TROOP TYPES. PRICE PER TITLE $9.00. 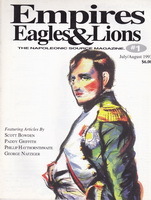 Napoleon at Bay: The Campaign in France, 1814 (Copyright 1982). Bookcase Game. Box in near mint condition. All components including The Campaign in France rule book, Scenario Folder, and Organization Displays (Allies, Army of Silesia, and France) intact in near mint condition. Game pieces are all complete and un-punched. Overall condition excellent. Napoleon: The Waterloo Campaign Game (Copyright 1977). Bookcase Game. Box in excellent condition. All components including two heavy cardboard map sections, rule book, deployment sheets, three dice, and the hard wood counters intact in near mint condition. Overall, all game components are complete. The game does not use the traditional flat counters. Instead, the counters are made from wood measuring about 3/4" square by 3/8" thick. Overall condition very good to excellent. Command Magazine. Published bi-monthly by XTR Corporation, San Luis Obispo, California. 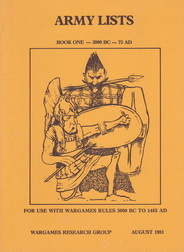 The magazine articles are historical and intended for the historical wargamer. 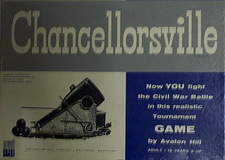 Two versions were published: the subscription version included the magazine and a board game but the Newsstand version was the magazine only. Those for sale here are the Newsstand version (no game). All are in very good condition except issue 31 which has a loose cover but is intact and otherwise in good condition. Each copy is $12.00 except issue 31 which is $9.00. See list below. Napoleon's First Battles (Copyright 1993). Boxed game measuring 9" x 11-1/2" in just very slightly wear. Two large 22" x 34" maps on which four battle scenarios are played: Arcola, Marengo, The Pyramids, and Montenotte. 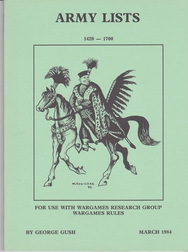 Includes Rules booklet, a Clarifications sheet (19 Mar 1993), and a Player Air Card. Two counter sheets and un-punched. Overall condition near mint. $85.00. Above: these are the "old" EE&L issues published by RAFM in Canada. Historical and gaming articles. Price $7.00 per issue. 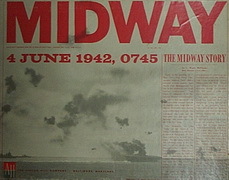 Note that the dates show are taken directly from the magazine covers and indicate an irregular publication schedule. Below: these are the "new" EE&L issues published by The Emperor's Headquarters in Chicago, Illinois. Historical and gaming articles. Price $11.00 per issue. Issue 1 on the left ------- Issue 9 on the right. 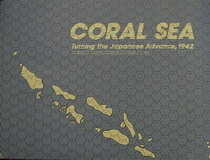 Coral Sea - Turning the Japanese Advance, 1942 (Game Designer's Workshop Copyright 1974). Game is stored in an SPI full size counter tray. Includes large map, Task Force Location Sheets, Rules Folder, Errata, Game Charts & Tables, Map Legend Card, and two Task Force Composition Charts. All counters punched out. Overall condition very good. $36.00. 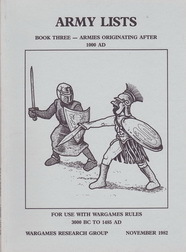 A Book of Sandhurst Games by Paddy Griffith (Copyright 1982 by Paddy Griffith). 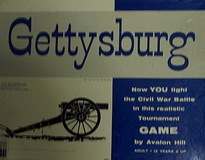 This is the American edition of a set of four battles developed by the Sandhurst Wargame Club. The simulations are the Campaign of Aquitaine 1356 based on the "War Ride" by the Black Prince, Battle of Craonne 1814 pitting Russians against French on French soil, Fjord - Convoy Action in the Arctic 1942, and Men Against Fire - Combat in the Pacific 1944 a role-playing skirmish for three or more players. Comes in the form of a large booklet and a separate packet containing counters, player aids, and maps. All components are in near mint, unused, condition. Game pieces un-punched and all complete. Overall condition excellent. $35.00. 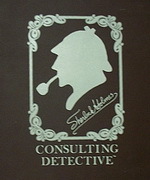 Sherlock Holmes Consulting Detective. Sleuth Publications, Ltd., San Francisco, 1981. From one to six players, 24" x 28" full color map of Holmes' London, 20 page "London Directory", Case Book, Clue Book, Newspaper Archive, and Quiz Book. This is not a board game. No dice, no luck, but a challenge to your mental ability. You are presented a mystery to solve, and it is then up to you to trace the threads of evidence through the byways and mansions of 19th Century London. You will interview suspects, search the newspapers for clues and put together the facts to reach a solution. This was issued in a binder and is in very good condition, $49.00. All items are shipped at actual cost plus packaging. When you order, specify shipping method. We will calculate the cost, add it to your order, and send email notifying you of the total cost. ALL PAYMENT BY CHECK, MONEY ORDER, OR INTERNATIONAL DRAFT IN U.S. DOLLARS.